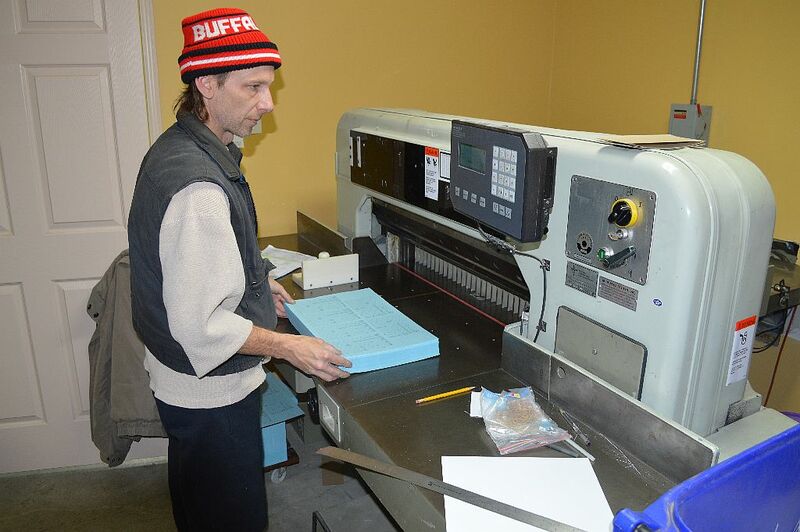 Gallagher Printing – a WNY institution. Gallagher Printing Inc. at 9195 Main Street in Clarence has been a Western New York printing “institution” since 1964. 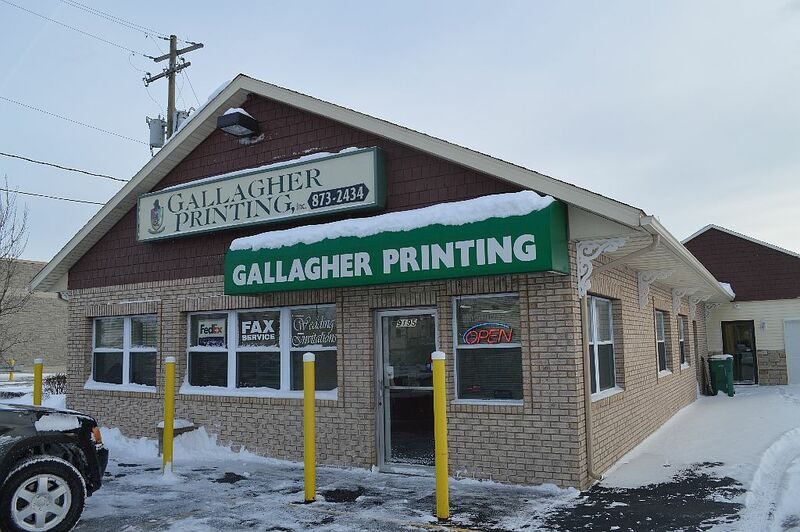 A long-time mainstay in the region’s printing community, the Gallagher family brought their print shop from Buffalo out to Clarence 12 years ago. 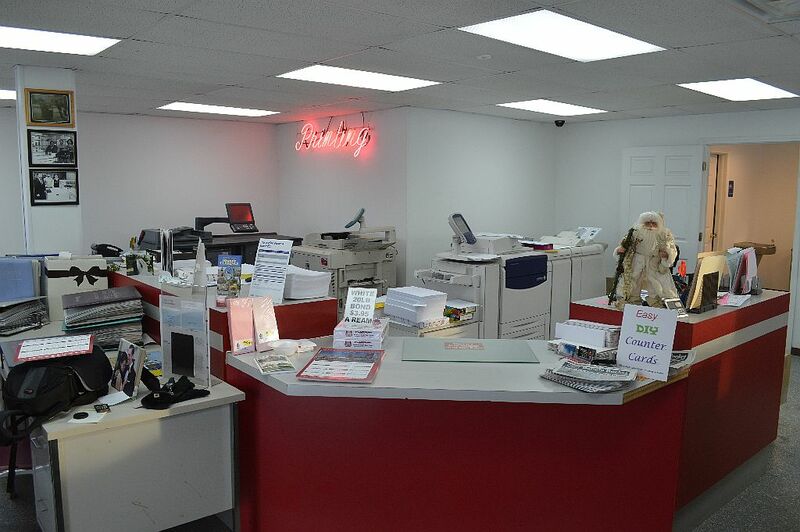 At their Main Street location, customers can walk inside to Gallagher Printing’s service area. One of the popular features used by customers is that it is a Fed Ex Drop-Off location. 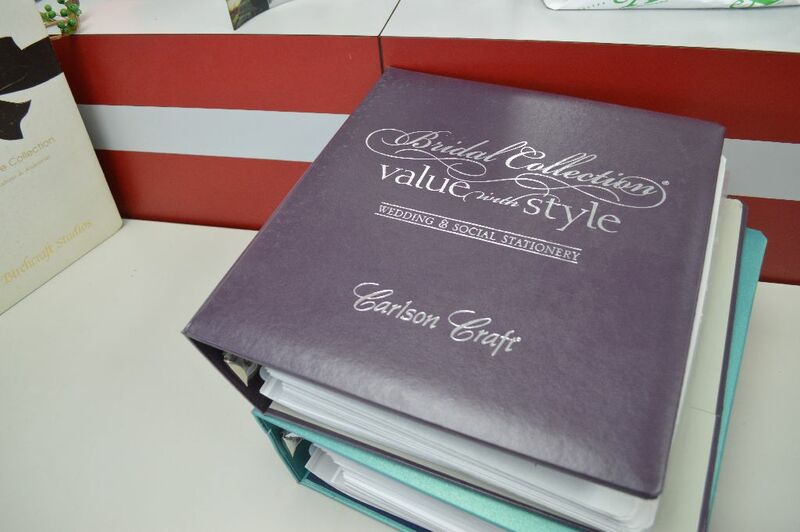 There are also several books full of sample wedding invitations, different types of paper, and a friendly staff to serve customers. A bulk of Gallagher Printing’s business is done in the commercial printing sector. On a recent tour with Daryl Gallagher, he showed that the real magic happens beyond the service area and in the back of the deceptively large building. 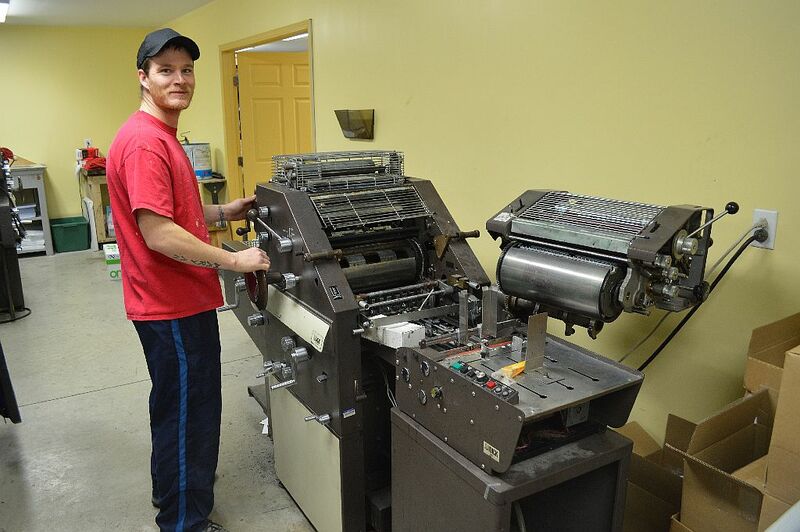 Behind the scenes the place is buzzing with activity, as Gallaher’s staff use a large printing presses, commercial paper-cutters, binders and more to fulfill their orders. Daryl said the family owned and operated company prides itself in being heavily involved with the local community – which is important in a day where so much of the customer interaction is conducted electronically, instead of face-to-face. The next time you have a small copy job, or a massive printing project, give Gallagher Printing a call and utilize their 50 years of printing experience. You can visit their website here. Next Next post: Anything is possible at Betsy Ross Costumes on Main Street!